Having entered the doldrums of winter, it is now, more than ever, that we need a holiday to bolster our spirits. Thank goodness Groundhog’s Day is here! Unfortunately, Groundhog’s Day is not nearly as prominent of a holiday as one might think it should be for such a critical time of year. Surely Groundhog’s Day has just as much merit as a legitimate holiday as, say, Halloween. I mean, come on, a holiday centered around disguising our offspring and sending them to beg for empty calories at the doorsteps of the very people to whom you wouldn’t lend your hedge trimmers. Groundhog’s Day can beat that! Groundhog’s Day has it all: the taunting of live animals, the dubious weather prognostications, old guys in top hats… Plus you get all the excitement and ceremony of watching a small woodland creature stand there and look around. It’s an entire day devoted to a rather fascinating little creature. 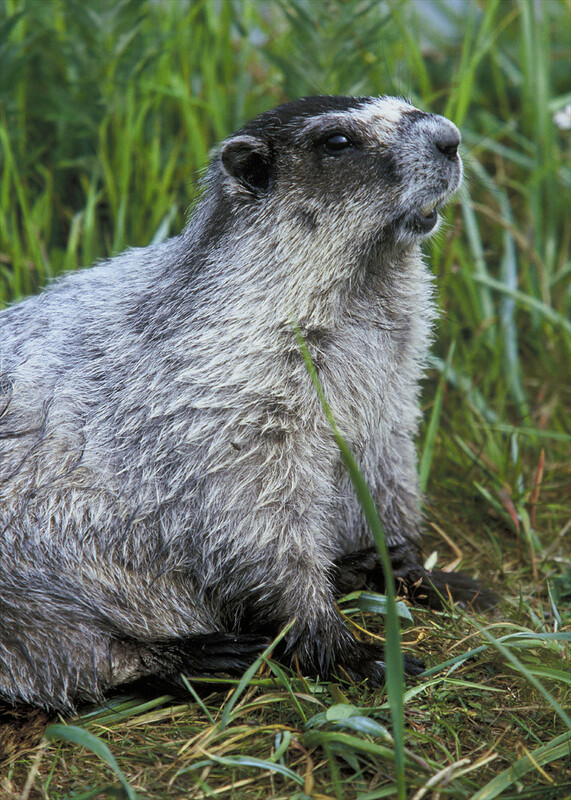 For example, did you know that a “groundhog” and a “woodchuck” are actually just two names for the same animal? Despite the popular children’s rhyme, woodchucks do not “chuck wood.” The name “woodchuck” is derived from the Cree Indian word “wuchak” referring to any one of several small, brown mammals. Actually a type of squirrel, the groundhog spends much of its time burrowing underground and eating the roots and stems of plants to fatten up before winter. Burrows can be five feet deep and up to 30 feet in length and, as winter approaches, the chubby groundhog retreats to the deepest part of its burrow in a large, grass-lined hibernation chamber. There the groundhog curls up and slips into a coma-like state that we know as hibernation. Its body temperature drops to 40 degrees. Its heart rate is reduced to only 4 beats per minute. And its breathing slows to only one breath every six minutes! Hibernation continues until the groundhog emerges in late winter to seek out a mate. Legend would have us believe that all groundhogs emerge on February 2nd, but groundhogs in North America actually emerge at different times throughout late winter depending on local temperatures and weather conditions. Legend also has it that if the weather is sunny, and the groundhog acknowledges his shadow and retreats back into his burrow, then we will have six more weeks of foul winter weather. If, on the other hand, it is overcast and no shadow is acknowledged, then winter is over. The inclusion of an animal came about when the Germans got involved. The Germans believed that animals (hedgehogs to be precise) who were frightened by the shadows cast by the illuminated candles of Candlemas on February 2nd, foretold that winter would last another six weeks. When numerous German settlers arrived in America in the 1700s, they brought these beliefs with them. Appalled at the astonishing lack of hedgehogs in the new world, the resourceful Germans simply switched to another, more readily available mammal, the groundhog. Then, in the late 1800’s, a newspaper editor named Clymer Freas and a Congressman named W. Smith teamed up in an attempt to popularize the day. They wisely chose the state of Pennsylvania as it was crawling with German immigrants at the time, and they chose the small town of Punxsutawney for the very first “Groundhog’s Day” celebration. The groundhog at the center of it all was named “Punxsutawney Phil” and the popular event continues to this day. Every year, a small group of men in tuxedos and black top hats assemble at a modest hill called Gobbler’s Knob, tap on the door of a quaint little pretend groundhog home, pull out a very confused-looking groundhog, and proclaim whether or not the groundhog has seen his shadow. Determining whether the groundhog actually “sees his shadow,” however, is an imprecise science at best. According to official Punxsutawney Phil records, the famous groundhog sees his shadow and retreats into his hole about 85% of the time. Although there is absolutely no statistical evidence to suggest that groundhogs are particularly good at predicting the duration of winter, the people of Punxsutawney will tell you that Phil has never been wrong. Of course, the people of Punxsutawney will also tell you that there has been only one Phil all these years, and that he stays young by drinking special “Groundhog Punch” at the annual summer groundhog picnic. So, you can see that Groundhog’s Day has everything you could ever want in a holiday, including some sort of mystery beverage. You add some parades, some cheerleaders, and some hiding and/or throwing of candy, and you’ve got yourself one top-notch holiday. Have a great Groundhog’s Day, and let’s hope he doesn’t see a thing!